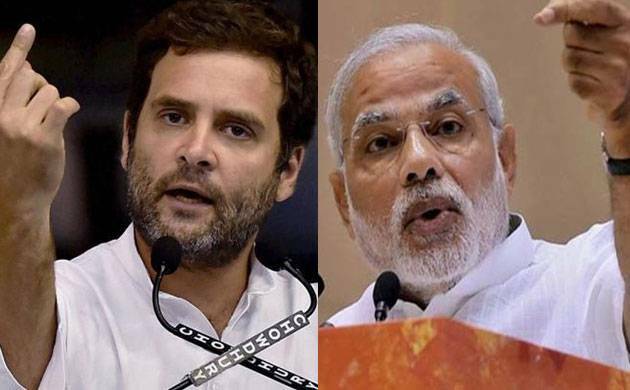 Home > Politics (English) > Will 2019 elections decide India’s future ? If you feel that your life is not easy going, think about the people who appear for competitive exams in India. Competition is one such thing that we inherited from years. Whether it’s Lok Sabha Elections or Joint Entrance Exam, the intensity of competition can never be minimized in India. That’s one of the reasons why India has seven recognized national parties which includes- Bhartiya Janata Party, Indian National Congress, Communist Party of India, Communist Party of India- Marxist, National Congress Party, Trinamool Congress and Bahujan Samaj Party. In other words, we can say that choosing a groom, bride or a Prime Minister is one of the most difficult tasks in our country as the hymns of development are always a matter of concern before the Parliamentary Elections. The downfall of United Progressive Alliance government in 2014 is one such evidence that justifies this fact. After ruling for two consecutive terms (2004-14), UPA was ruled out by the public in 2014. The downfall of UPA was a result of multiple scams under their tenure which includes- 2G Spectrum Scam, Satyam Scam, Commonwealth Games Scam, Coal Scam, Chopper Scam and many more. As a result, National Democratic Alliance created history by winning 336 out of 543 seats in Lok Sabha. On 26th May 2014 Narendra Modi was sworn in as 15th Prime Minister of India. The first two years of Narendra Modi’s tenure went really well. Although, he was ridiculed on Social Media for his consecutive foreign trips. 2015-17 was considered as the period of ups and downs for Narendra Modi Government. The incidents of Mob lynching, Conflicting situations with the neighbours and deaths of soldiers were leaving a dark impact on the political party’s image. On 8th November 2016, PM Modi took the most controversial and most debatable decision of his career i.e. Demonetization. The success of demonetization is still questionable as the benefits or perks are still invisible. A few months later, the concept of GST was introduced on 1st July 2017 in the Indian economy which again raised challenges for the working class people. Even though, it cannot be denied that a good amount of work had been done in the past few years like- improved industrialization, improved infrastructure, better foreign relations and many more but few democratic factors like – Expression, Unity and Socialistic approach towards the poor and oppressed people are still a point of concern for many people. As a democratic citizen, everybody should remember that governments are not chosen to rule over you, they are here to serve people like me, you and everyone. It’s important to think whom you’re going to vote because every vote matters.